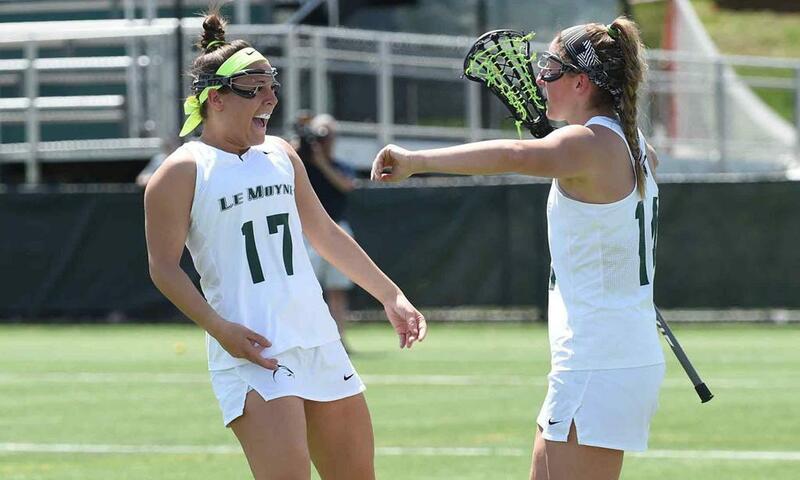 The number one team in the IWLCA Division II Coaches Poll is Le Moyne College (3-0), who hangs onto the top spot with all 25 first-place votes after defeating both West Chester (1-1) and LIU Post (3-1) last week. Adelphi (3-0) and Florida Southern (5-1) remain in the second and third spot, while West Chester and Lindenwood (6-0) switched places to round out the top five. LIU Post, Rollins (5-0), Regis (4-0) and East Stroudsburg (2-2) held their top-ten rankings, while Tampa (5-2) makes its first appearance in this elite group, claiming the #10 spot. Assumption (4-0) and Saint Leo (7-0) are the only newcomers to the poll, making their entrances at #21 and #25 respectively. There are plenty of Top-25 games this week, starting on Monday when Slippery Rock (RV) takes on Florida Tech (#24). Wednesday sees L#6 IU Post visiting #9 East Stroudsburg, Slippery Rock at #3 Florida Southern, and top-ranked Le Moyne at #15 Mercyhurst. Saturday’s action includes Florida Tech against Florida Southern, Bentley (#23) at #14 Mercy, Pace (#11) at Merrimack (#19), and Slippery Rock at #4 West Chester.